This all brick one-level home located on .8 of an acre. Ideally located with close proximity to town but tucked away far enough to feel the comforts of the country. Three bedrooms, two full baths, living room/dining room, kitchen, family den with wood burning stove, and two smaller rooms for offices or play rooms. 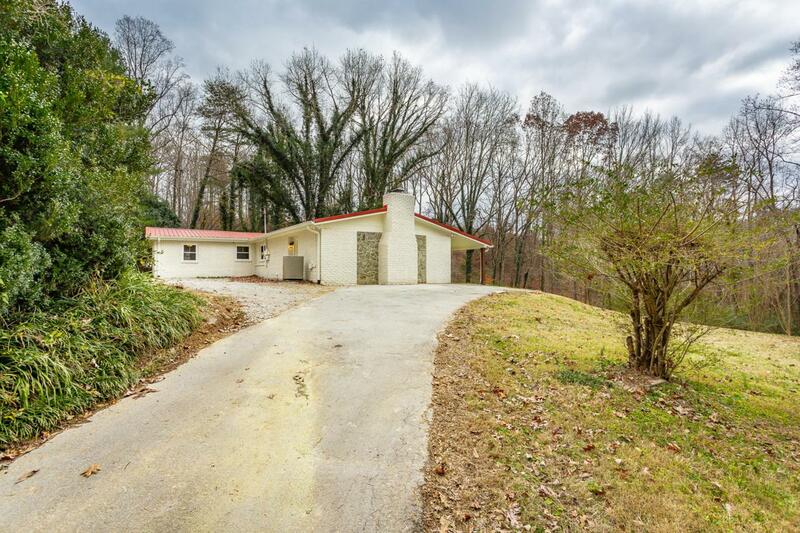 Located on the top of a sloping hill for beautiful overlook view of the property. The large storage building also stays. Lots of new items: Gutters, condenser unit on HVAC, new flooring in living room, master, laundry and storage room, refinished hardwoods in 2 bedrooms and office, some new lighting, refinished master tub, renovated and painted brick exterior, new paint, and kitchen is updated with granite tops, new cabinets, and stainless-steel appliances. Come take a lookat this charmer.